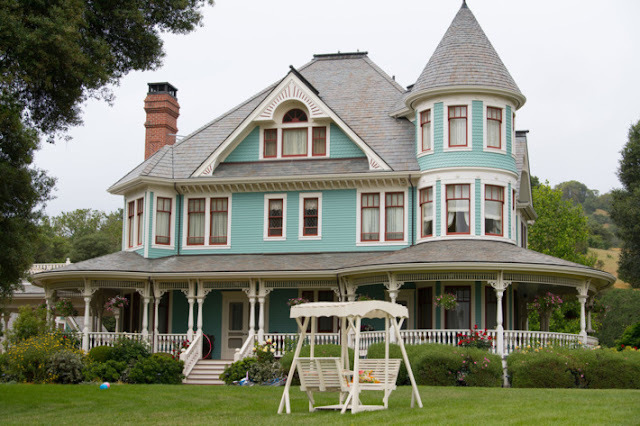 You can find Austenland in my Movies Based on Books 2013 page. The movie based on Shannon Hale's eponymous novel comes out on August 16th. I'm re-posting the following updated quick take originally published last April 2012. I want one of those bags that Keri Russell is carrying in the poster! MY TAKE ON THE MOVIE ... hint ... it's kind of awesome! Jane, are you rolling over in your grave - with mirth - at the love and respect your work continues to garner, so long after you went to that grave? Do you understand why the thoroughly modern millies and the rest of the women of the modern world still can't get enough of you and all your fab females but most especially Miss Elizabeth Bennett? While it's been years since I last re-read Austen's classic I'm a huge P&P fan. Seeing that the upcoming Austenland film starring Keri Russell was based on a book and that book is a huge homage, I gave Shannon Hale's Austenland a go. This was such a delicious book! Why oh why did it take me so long to get to it? Who can compare to Colin Firth? From the publisher Jane is a young New York woman who can never seem to find the right man—perhaps because of her secret obsession with Mr. Darcy, as played by Colin Firth in the BBC adaptation of Pride and Prejudice. When a wealthy relative bequeaths her a trip to an English resort catering to Austen-obsessed women, however, Jane’s fantasies of meeting the perfect Regency-era gentleman suddenly become more real than she ever could have imagined. Is this total immersion in a fake Austenland enough to make Jane kick the Austen obsession for good, or could all her dreams actually culminate in a Mr. Darcy of her own? Funny, romantic, fabulous and perfect for all die-hard Pride and Prejudice fans. I read Austenland last year knowing the film based on the book was "in post-production" and starring Keri (Felicity) Russell as the Jane Austen and Darcy obsessed Jane. While I'll no doubt get a kick out of the goings on - is the attractive gardener(Ben McKenzie/Flight of the Concords) garbed in period clothing an actor or the real thing? Or does the actor playing Darcy turn out to be Jane's destiny? - I'm equally keen to see the always hilarious Jennifer Coolidge as Miss Elizabeth Charming as well as Jane Seymour as bitchy, bossy Mrs. Wattlesbrook. About P+P, the mini-series. Since I hadn't seen the Pride and Prejudice television series (I think I have been deferring to my husband's taste for too long!) with Colin Firth as Mr. Darcy, I had to watch that too. 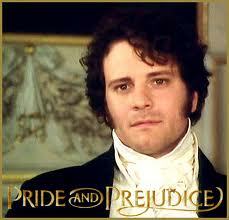 Oh he is perfect as the 'proud and arrogant' Darcy! I think I have fallen a little in love with him myself; there was a particular scene where he and Elizabeth speak volumes as they simply stare at each other, each seeking and seeing the love in each other's hearts as it plays out subtly on their faces. It reminded me of Ryan Gosling and Carey Mulligan in Drive. Sheer Poetry! A wonderful mini-series to have on hand for watching when husbands are out of town or Mr. Wonderful doesn't call. I can totally understand why Austenland's Jane hides it in the plant! And I'm looking forward to seeing Keri Russell as Jane - in her mid-thirties at least she is the right age. Agree? Now that I've seen the trailer, I'm really optimistic. It looks over the top hilarious. 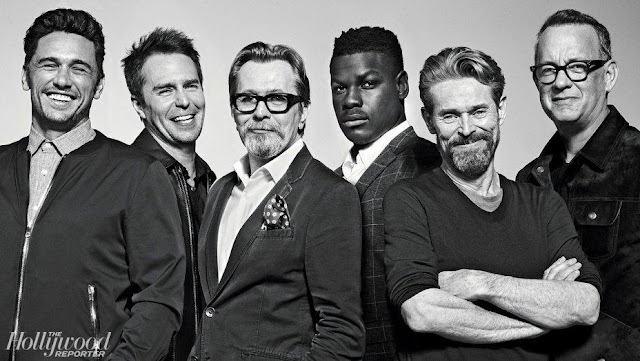 IF you can have a laugh at your own Austentaciousness (an overabundance of affection for everything Jane Austen wrote)- I should rephrase that ... if WE can have a laugh at ourselves and OUR own Austentaciousness, the film looks like jolly good fun. Take a gander at this Guardian article, which makes the point that this film has gone for female viewers in a big way, ignoring the men. In a world where female driven films are so few and far between, with female filmmakers so in the minority, I see no downside at all in a film made about, for and by women. And it makes me wonder, did the producers of Cowboys and Aliens consider how that 'film' would play to its' female audience? Perhaps they should have. Count me in as one of the many women who can't get enough of Mr Darcy! 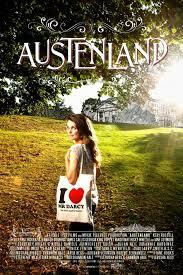 I can see Austenland- both book and movie coming up in my future... Perfect for the 200th anniversary year. I've been meaning to rewatch Colin Firth but have only managed to watch the first episode so far. I must get around to the rest.